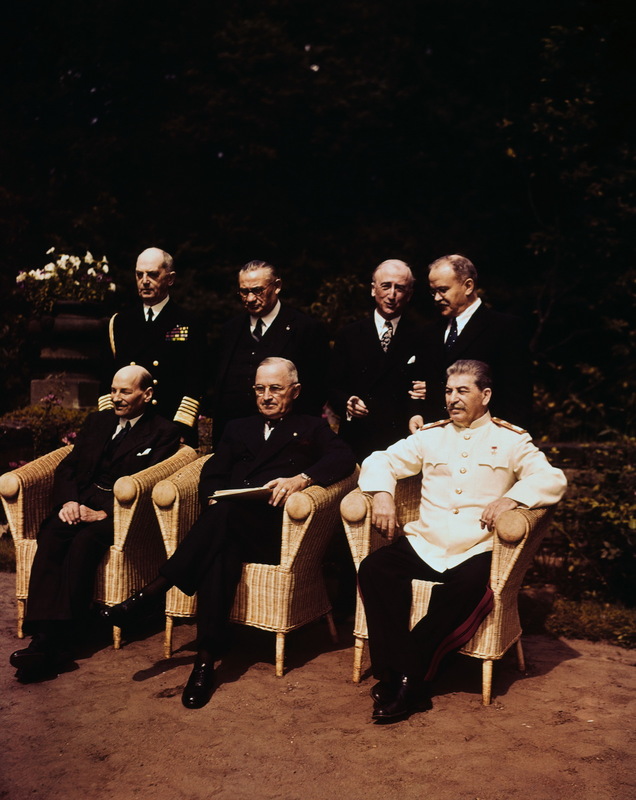 The "Big Three" pose with their principal advisors at Cecilienhof Palace near Berlin, Germany, in 1 August 1945, one day before the conclusion of Potsdam Conference (17 July - 2 August 1945). The meetings were held to decide how to administer punishment to the defeated Nazi Germany, which had agreed to unconditional surrender nine weeks earlier, on 8 May (V-E Day). The goals of the conference also included the establishment of post-war order, peace treaty issues, and countering the effects of the war. 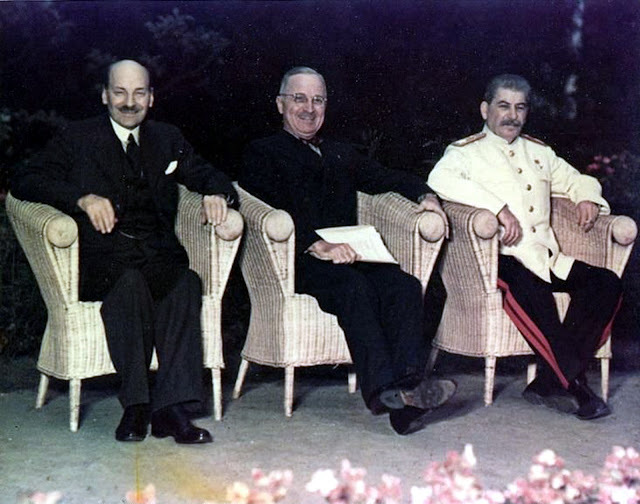 The three heads of government are (seated on wicker chairs, left to right): British Prime Minister Clement Attlee; U.S. President Harry S. Truman; and Soviet Premier Joseph Stalin. 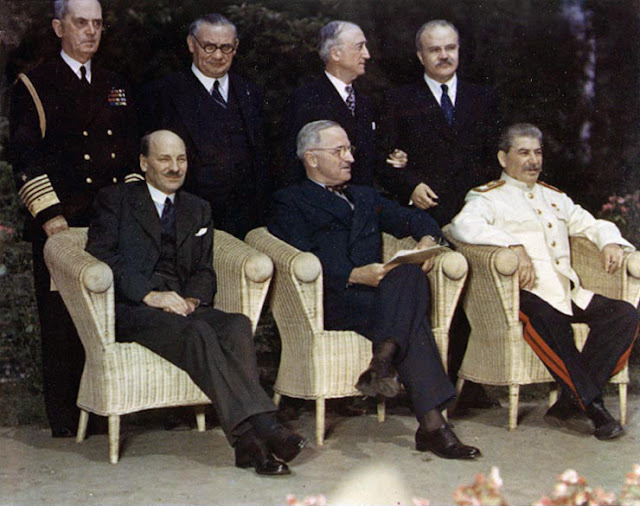 Standing behind them are (left to right): Fleet Admiral William D. Leahy, USN, Truman's Chief of Staff; British Foreign Minister Ernest Bevin; U.S. Secretary of State James F. Byrnes; and Soviet Foreign Minister Vyacheslav Molotov. Winston Churchill and Anthony Eden, who had been at first nine days' sessions, learned on July 26 of Tory election defeat, were replaced by Laborites Attlee and Bevin. Just before photograph was taken, two Soviet agents and a soldier hurriedly scraped shiny black paint off chair arms at request of the official Russian photographers. They had barely finished job as Big Three arrived.